That’s a familiar question, and one with lots of answers when you’re talking about New Year’s Eve dining options in Newport Beach. Whatever type of culinary celebration you choose, consider taking a taxi or Uber so you can have fun without worrying about driving home. 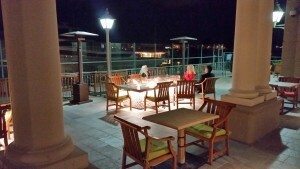 21 Oceanfront is ringing in the New Year with two different seating and menu options. The first seating is a three-course menu for $75 from 5 to 7 p.m. Second seating is a four-course dinner with champagne toast for $145 from 8:30 to 10:30 p.m. The entrée course offers a wide variety of options from lobster tail and petite filet mignon, to pan seared Chilean sea bass, or New Zealand rack of lamb. End the evening with a dark chocolate cake, warm apple tart, or lavender crème brulee. 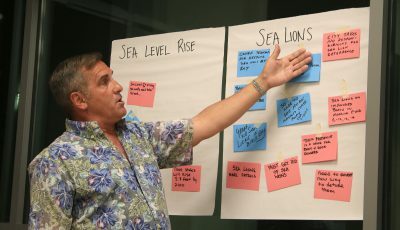 Visit 21Oceanfront.com or call (949) 673-2100. Babette’s will be hosting a special evening starting at 5 p.m. at their picturesque Newport Coast location for a special New York New Year’s Eve dinner. The price per person is $118 and includes a complementary glass of Veuve Clicquot and a three-course meal, starting with an amuse bouche of white cheddar gougeres. The first course has several selections including sesame seared ahi sashimi, baby kale salad and creamy polenta. Second course has four options, while dessert is choice of carrot cake, lemon cheesecake, or gingerbread tiramisu. 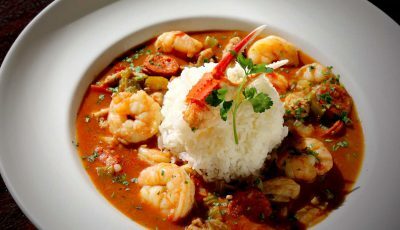 To make your reservation, visit BabettesNewportBeach.com or call (949) 715-9915. Back Bay Bistro’s New Year’s Eve dinner is a six-course menu from 8 p.m. to midnight for $105 per person and includes DJ entertainment, party favors, and a champagne toast. The meal begins with an amuse bouche of wild mushroom gougere, followed by a choice of heirloom tomato bisque or main lobster bisque. Continue with a pan seared Jon Dory, followed by a main course of beef periqueux, duck breast or veal chop. After winter greens with crumble blue cheese and champagne vinaigrette, end the dinner with an opera cake with espresso sauce. Back Bay Bistro also has a first dinner seating from 5 to 7 p.m. for $75 per person for a similar menu with four courses. 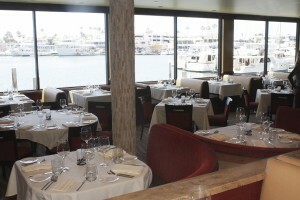 For more information or to make reservations, call (949) 729-1144 or visit NewportDunes.com/Back-Bay-Bistro. The Balboa Bay Resort celebrates with New Year with two special dinning options. At Waterline from 6 to 9 p.m. for $125 per person, indulge in a decadent seven-course gourmet dinner. Begin with an amuse of celery root espuma, then the next courses of oyster on the half shell, lobster salad, and Kobe beef short rib ravioli. The main course is a choice between poached turbot or Kurabata pork tenderloin. End the evening with cassis and cranberry ice cream and mignardese of ice cream cones. Ring in the New Year in style and dance the night away to the band “Rembrandt” in the Grand Ballroom. The evening includes a reception featuring a martini bar, sparkling Champagne, and butler passed hors d’oeuvres, followed by an elegant five-course dinner perfectly paired with exquisite wines. The beginning courses are: baby beet salad and butter poached lobster tail and pear sorbet. This black tie event is from 8 p.m. to 1 a.m. and is $225 per person. A&O will also be open from 8 p.m. to 2 a.m. with a live band and DJ. No cover charge. For reservations, call (855) 923.8301 or visit BalboaBayResort.com. Ring in the New Year Italian-style with a curated prix fixe menu at Cucina Enoteca. 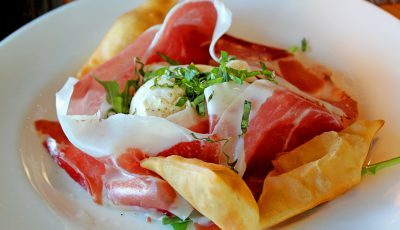 The four-course offering include antipasti, primo, second and dolci. Dishes range from scratch made pastas, seasonal catch and inventive California twists on Italian staples. Prix Fixe price is $68 per person with the option to add a wine pairing at an additional $38 per person. The regular menu will also be available. 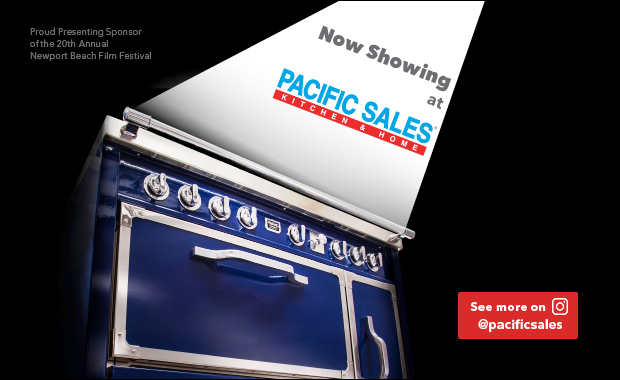 Call (949) 706-1416 or visit urbankitchengroup.com. Celebrate the New Year at Fleming’s with a special filet & lobster pre-fixe dinner. The three-course menu starts with a roasted prosciutto-wrapped shrimp followed by choice of salad. For the main course, enjoy an eight-ounce filet mignon and eight-ounce lobster tail with cabernet sauce. JCB by Jean-Charles Brut Burgundy ($16) and Veuve Clicquot Brut Champagne ($30) are available to pair with dinner. Price is $69.95 per person. 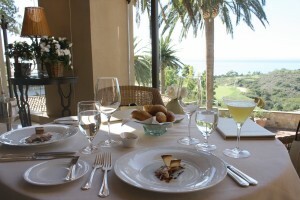 For reservations call (949) 720-9633 or visit Flemingssteakhouse.com. Send 2015 off in style at Oak Grill. You’ll be greeted by your choice of a complimentary cocktail or glass of Veuve Clicquot Champagne, before a four-course prix fixe feast prepared by Chef Marc. First course is a choice of oysters Rockefeller or salmon crudo, followed by a second course choice of Dungeness crab salad or lobster risotto. Entrée selections are duck breast, roasted turbot, or braised wagyu cheeks. End the meal with a ball drop float. 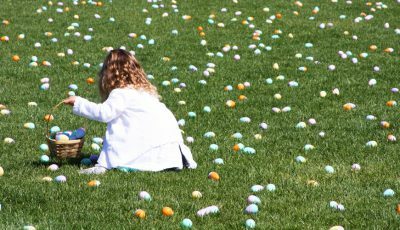 Reservations available from 5 to 11 p.m. Price is $130 per adult, $25 for children, under 5 free. For reservations, call (949) 760-4920 or visit opentable.com. Aqua Lounge is ringing in 2016 with the sparkling throwback style of the Roaring 20s and a Gatsby Glam party. $150 per person, includes one complimentary drink. 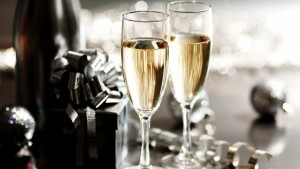 A special $250 package includes New Year’s Eve dinner in Oak Grill and entry to Aqua Lounge’s New Year’s Eve party. Please call (949) 760-4920 for reservations. Pelican Hill knows how to welcome the New Year. Andrea Ristorante has a four-course menu and two dinner seating options from 5 to 7 p.m. ($175) or from 8:30 p.m. to 1 a.m. ($235). Chef Luke at Pelican Grill creates a California grill four-course prix fixe menu, available from 5 to 10 p.m. ($150 per adult or $180 with wine pairing). Celebrate in the Lounge with entertainment by a live band from 9 p.m. to 12:30 a.m. and a midnight balloon drop marking the New Year, including a complimentary glass of Prosecco. The Lounge also serves up a special New Year’s Eve menu. Savor a three-course prix-fixe celebration menu at the Coliseum Pool & Grill from 5 to 10 p.m., as well as à la carte dinner selections and a festive lounge menu from 10 p.m. to midnight. A three-piece band entertains from 7 p.m. to 12:30 a.m. with a midnight balloon drop and complimentary Prosecco toast ($115 per adult, $50 per child). Celebrate in The Great Room Lounge starting at 6 p.m. with live DJ performances, creative cocktails, small bites, a midnight balloon drop and a complimentary Prosecco toast. ($35 per non-resort guest). 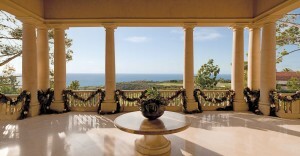 Call (888) 507-6427 or visit pelicanhill.com. On New Year’s Eve, Port celebrates with live music, festive décor, a multi-course dinner with many options, and endless glasses of bubbly. First seating is $59 per person, second seating is $89 per person. Menu includes salad, Sun-Dried Tomato Hummus, Lobster or Portobelo Mushroom Ravioli, Prime Filet Mignon or Chilean Sea Basss or Port Kabob Combo Plate, Chef’s NYE Dessert, and a Champagne Toast. Live entertainment by Cory Case. Visit PortCDM.com for details. The Winery Restaurant & Wine Bar will be hosting a Black and White New Year’s Eve Soiree to bid 2015 goodbye. Guests will be able to enjoy a three-course dinner courtesy of the one and only Chef Yvon Goetz. Choose between their first seating 5 – 6:30 p.m. priced at $69 per guest, and their second seating 8:30 p.m. – 10 p.m. priced at $149 per guest. First course highlights include: winter corn bisque and seafood chowder, Colorado buffalo carpaccio, or seared rare yellow fin ahi tuna. Main courses offer a variety of options from jumbo scallops and wild white shrimp to angus beef bone-in filet, and king salmon a la “plancha.” Enjoy live music and dancing from 10 p.m. into the new year. For reservations call (949) 999-6622 or visit TheWineryNewport.com.